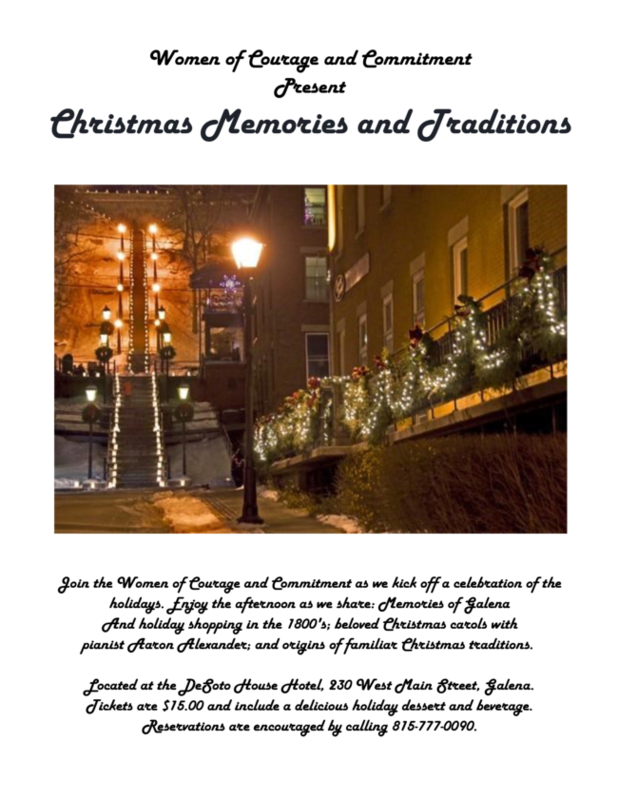 Get a head start on holiday shopping, ghost tours, wine tastings, art galleries, dining and outdoor winter activities. 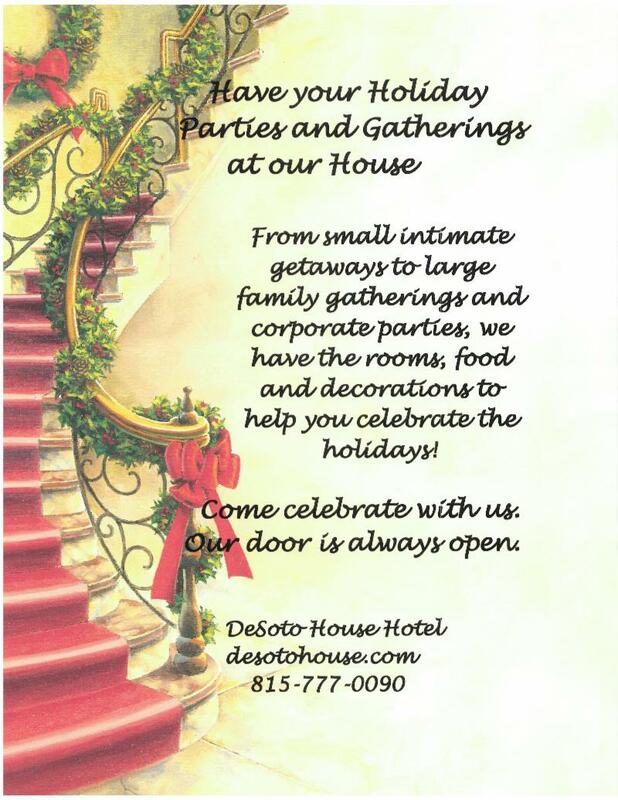 We invite you to stay with us and be part of the DeSoto House Family. If it's your first time we invite you to our House. If you are returning, welcome home! Just click on any RESERVE YOUR GETAWAY NOW to make your reservations. Keep more informed and become a Facebook Friend of the DeSoto House Hotel. 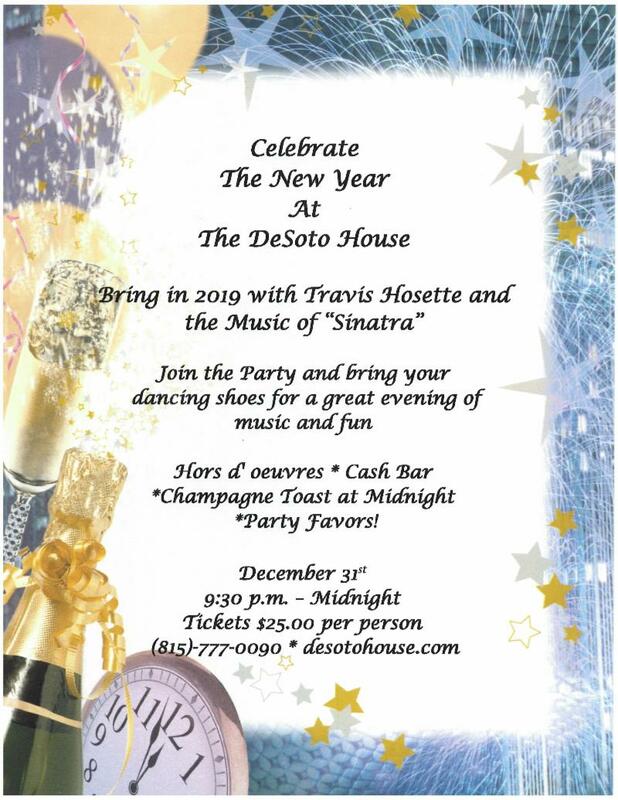 DeSoto House Gift Certificates make perfect gifts! 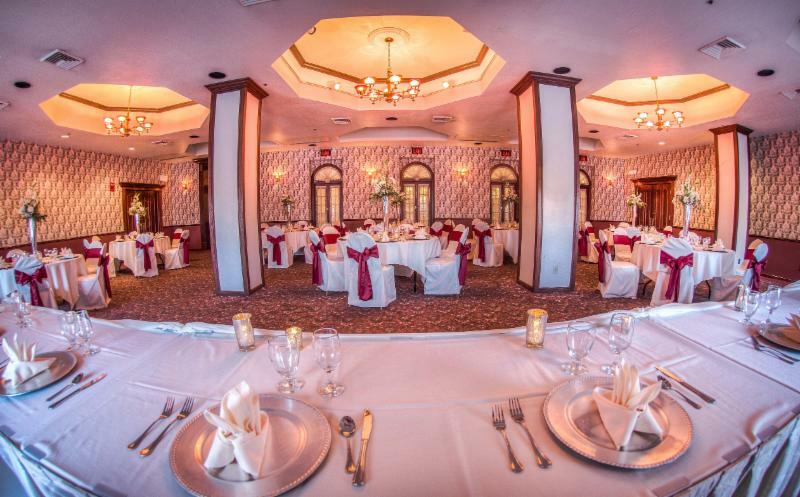 Dinner in our Generals' Restaurant followed by the evening performance at 7:30 p.m. The above packages are for 2 people. Plan ahead for your getaway! any way and where you wish!!!! Please make your reservations early. Availability is limited, so don't delay. The above package is for 2 people. Valid Thursday, November 1st through Thursday, December 20th. Then, plan to dine with us. It's as GOOD as it looks! Call to make your dreams come true! 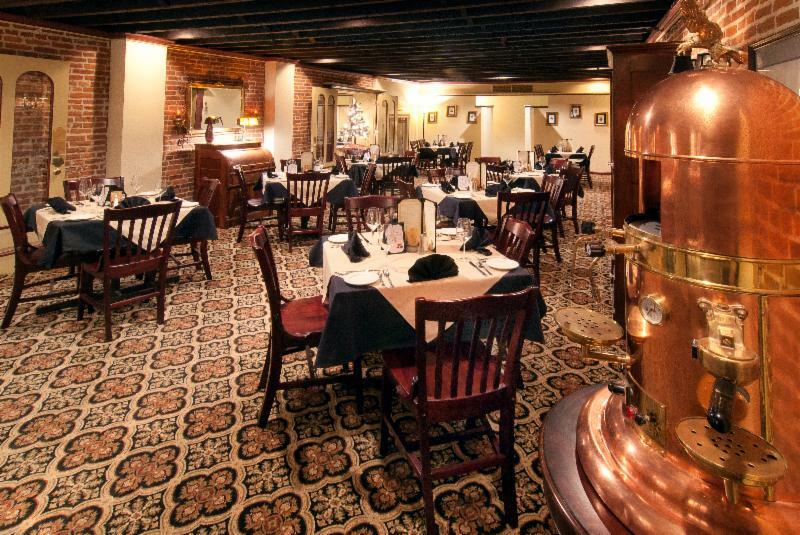 host to some of Galena's most gala events. Here's a partial list of this years festivities. Be Sure To Plan Your Get Away In Advance! 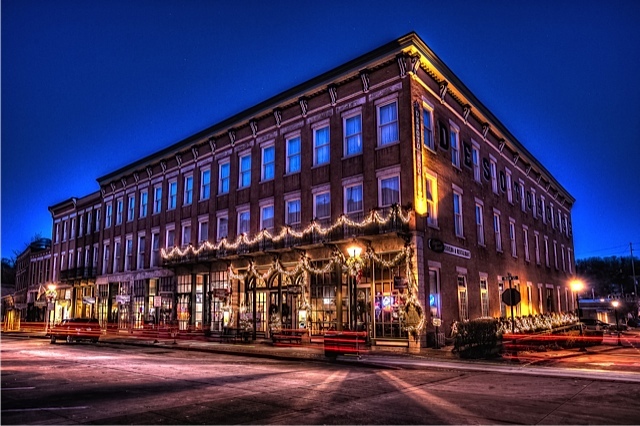 Join us at the haunted DeSoto House Hotel for an evening of dark Galena history, eerie folklore and true ghost stories. Hear the stories of infamous murders, suicides, and other tragedies and the hauntings that have lingered throughout our darkest history. This intimate and eerie Salon style show is presented by Master Storytellers, Ted Williams and Robyn Davis, creators of The Haunted Galena Tour Company. Watch and listen as Ted and Robyn use words and music to weave pictures in your mind of Galena's haunted history. Make plans to join us for our traditional Thanksgiving Buffet with all your favorites. Serving from 11:00 a.m. - 4:00 p.m. The John Erickson Trio will be back to perform for us again this year! Join us to kick off the holidays with a collection of jazz infused carols as well as their traditional and original collection. The concert begins at 7:30 p.m.
Tickets are $18.00 per person. 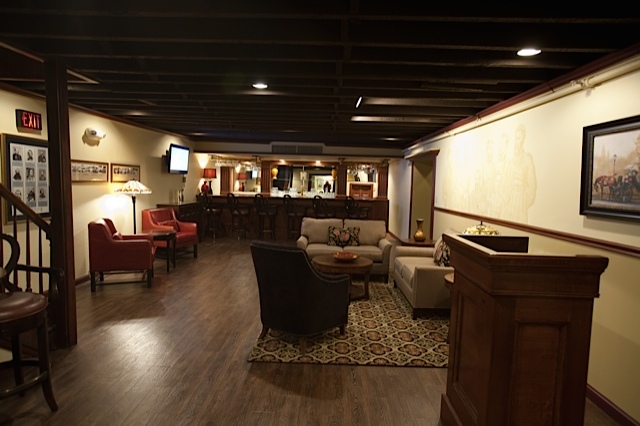 Plan to arrive early and enjoy the cash bar and special appetizer menu. 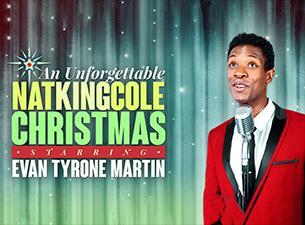 This is a very popular performance and will sell out. Plan to stay with us for this fun filled holiday weekend. The town will glow with luminaries and the Main Street Shop windows will come alive. Make reservations early. This is always a sold out weekend. While Galena is "Aglow" Saturday, December 8th join us for a candlelight dinner in our Courtyard, enchanted by twinkling lights and magical decorations. 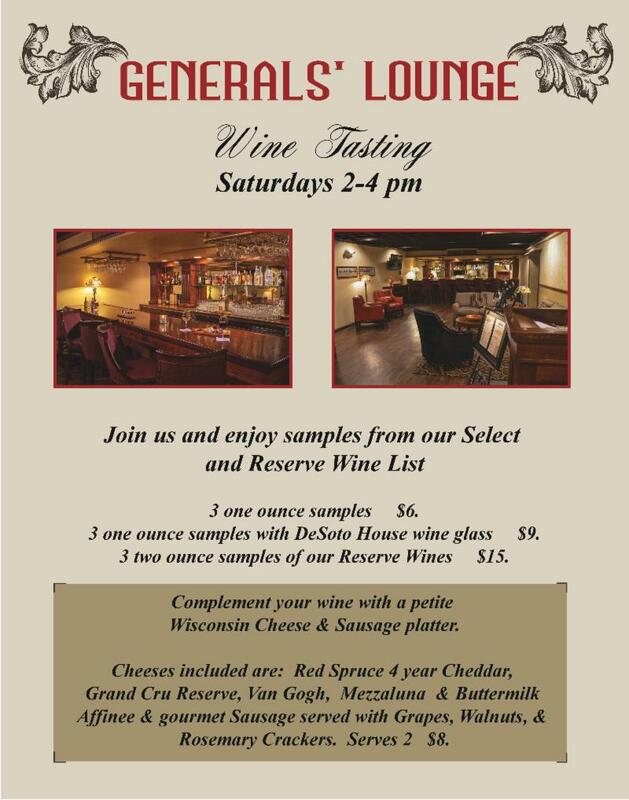 A special menu will be offered as well as our full Generals' menu. Entertainment by the beautiful music of Tony Sconyers. 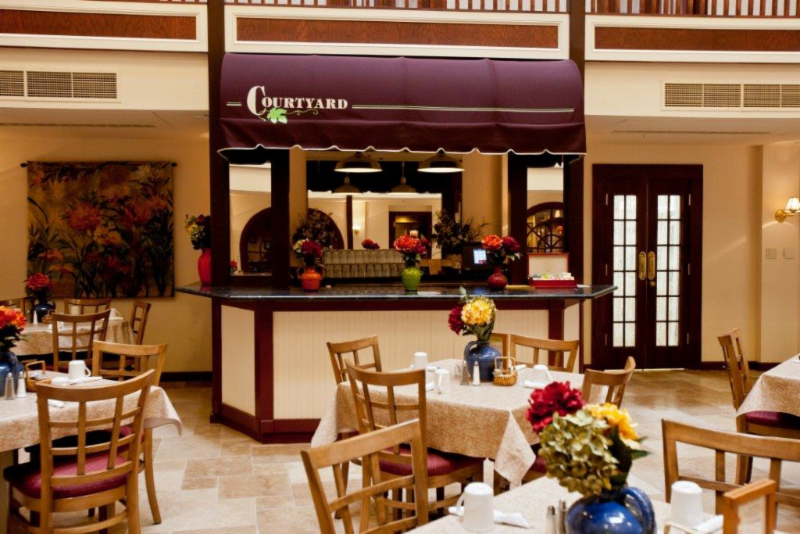 Serving Dinner from 5:00 p.m. - 10:00 p.m. in our Courtyard and Generals' Restaurant. 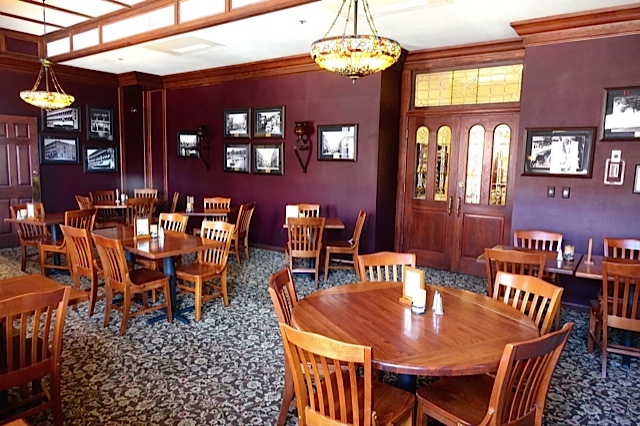 Make reservations early as this is a very busy evening in Galena. 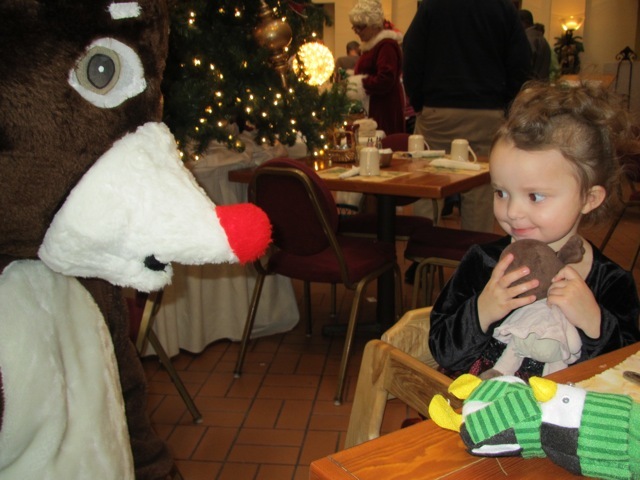 Plan to join us for our traditional brunch beginning at 8:00 a.m. - 1:00 p.m. Frosty, Rudolph, the helpful Elf and Santa will be arriving at 9:00 a.m. - Noon. 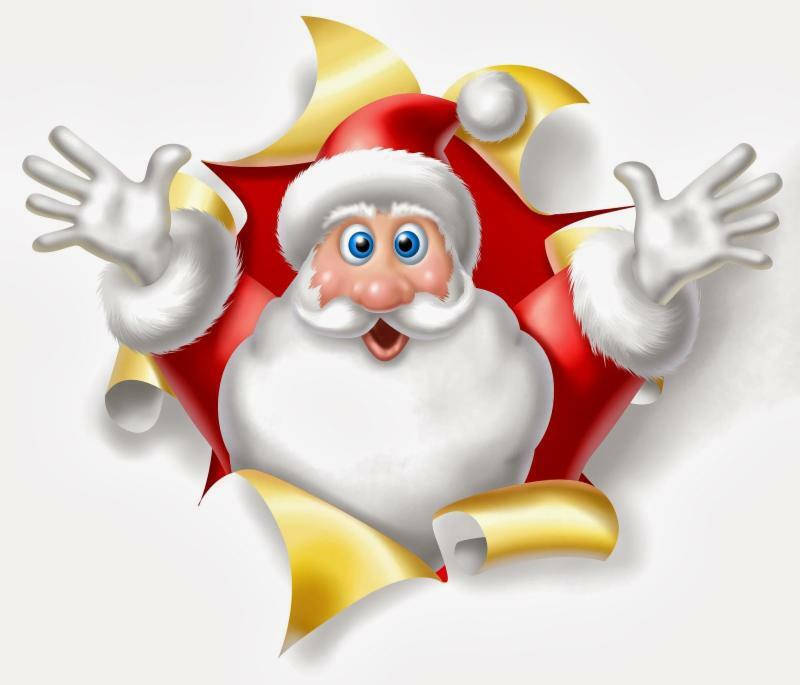 Enjoy breakfast with Santa and all the holiday magic! Make reservations early. Always a sold out event. 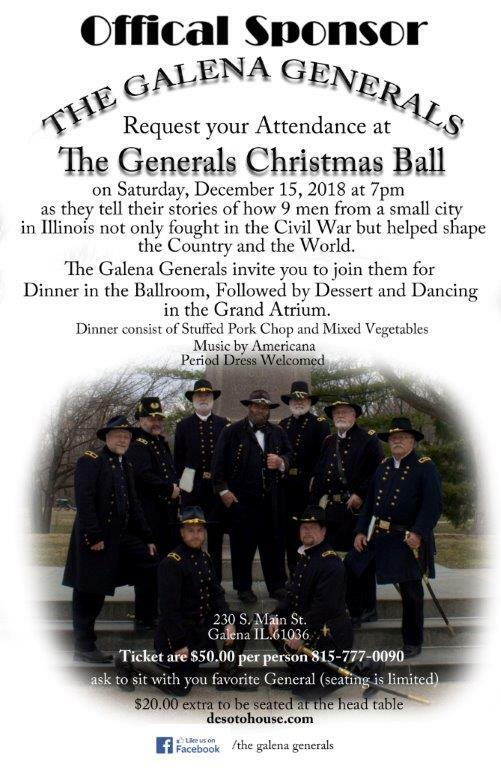 Join us at the DeSoto House Hotel at 7:00 p.m. as the Galena Generals tell their stories of how 9 men from a small city in Illinois not only fought in the Civil War but helped shape the Country and the World! Tickets are $50.00 per person - please call to reserve your tickets and request seating with your favorite general! Plan to dine with us in Generals' Restaurant serving from 5:00 p.m. - 11:00 p.m. 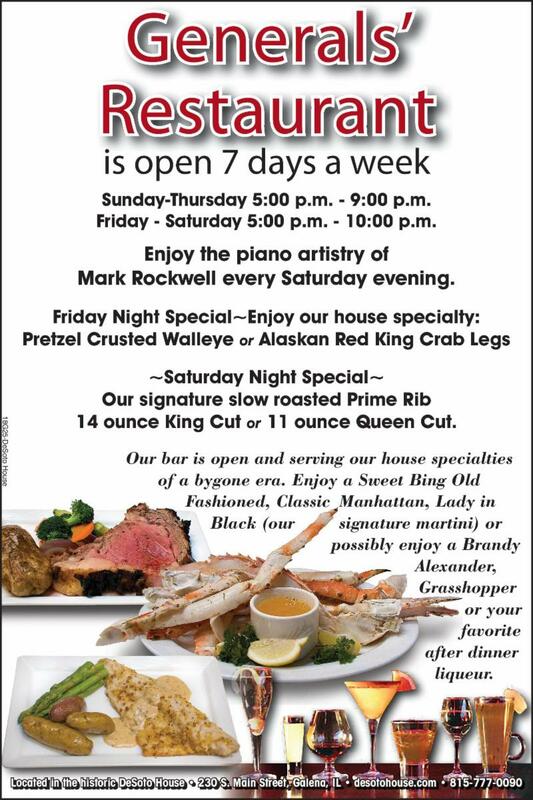 Enjoy the music of Mark Rockwell as well as a special dinner menu (full Generals' menu also available). Then say good-bye to 2018 and hello to 2019 in our Green Street Tavern till 1:00 a.m.